Horncastle Indoor Bowls Club plans to celebrate its 25th anniversary in 2015 - in the best possible style. The club opened its doors for the first time in January 1989 after many months of dedicated and determined fundraising by a group of enthusiastic lawn green bowlers, led by Councillor Sid Cowling. All their hard work paid off and the building of the facility was finalised, enabling the previously summer only sport to be played all year round. Over the years, the club has seen many changes. A dining/function room was added which, apart from club use, is available for hire as a venue for events and meetings. Renovations and improvements to lighting and heating have improved playing conditions, as has the wooden floor. It was laid over the original concrete surface and with the aid of modern technology, can be ‘laser levelled’ for a true running surface. Regular sessions of social (non-league) games and leagues are held on a weekly basis along with club matches and competitions and county and national games. 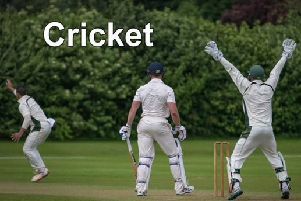 All of the sessions help the club to thrive and by welcoming and encouraging new players, it is hoped to add to the list of county champions already featured on the honours board. Celebrations for the 25th anniversary begin next month when this season’s Club President, Mrs Cynthia Wells, welcomes players for a match between club social bowlers and a team of founder members. It is hoped to continue celebrations throughout the rest of the season with bowlers from around Lincolnshire involved. Always on the lookout for new talent, the club will be hosting an Open Day on Sunday February 1 from 10am – 4pm. Anyone – of any age – is welcome to come along to the club – which is next door to the swimming pool on Coronation Walk. Equipment and guidance are provided. On January 3, the club will play host to the 18 and Under County Championship eights and quarter final rounds. The standard of play and the enthusiasm of the young players proves the sport keeps all competitors fit and healthy. Disabled bowlers are also welcome. Specially adapted wheelchairs are available. *Anyone interested in joining the club should call, the facility is open most mornings and evenings. And, it’s not just bowls, The club’s Bridge section meet for regular sessions on a Saturday evening.